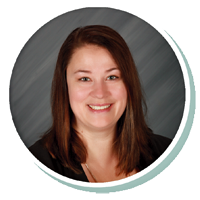 Jennifer joined Stearns Bank in 2018 and has sales experience going back to 2012. Her primary focus is in the woodworking and machine tool industry. Jennifer takes pride in finding the best customized financing solutions that fit her customers’ needs. With technology always evolving in these industries, she has been able to help her customers keep up with the latest capabilities to provide their businesses with additional growth and efficiencies.